Under new management since August 2007 the Hummingbird Hotel has undergone a complete renovation- from the quaint single rooms to the lovely themed suites. Established in 1921 and located in the heart of the art and antique district of historic downtown Lake Worth - Florida. 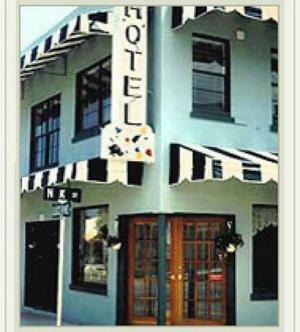 This 1920s era-style historic hotel offers unique old Florida charm with elegant antiques and artwork and is a unique and special romantic destination that rivals getaways anywhere in the world at very affordable prices. There is a beautiful waterfront park complete with bike trails only five blocks from the hotel. The beach is a fifteen minute walk or a short trolley ride away. Office closes at 10pm. If you are planning to arrive after 10pm please make arrangements in advance.